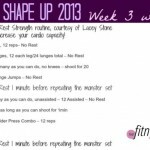 -Your amazing Winter Shape Up check-ins!! This first week has been such a blast!! Anne and I have absolutely loved reading your check-ins on Twitter, our blogs and the WSU Facebook group. The pics (especially the sweaty workout pics) are always my favorites 🙂 I can easily say you rocked out the first week of the challenge! You have two more days to enter our White Plum giveaway on the intro page. (Two more days for the discount code, too! 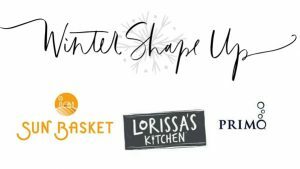 “WINTERSHAPEUP20” for 20% off.) If you’d like to join in the WSU fun, check out the intro post for all of the details! You could start with us for Week 2, then go back to Week 1 as your fourth week. -I tried out the banana, egg and flax pancake that was part of the Winter Shape Up meal plan, and have become a huge fan. Livi loved it, too! She went crazy for her puppy dog pancake, and I rolled mine up like a burrito after filling it with sun butter and sliced strawberries. It was SO GOOD. Can’t wait to make it again! 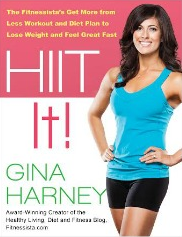 -This little blog was featured in Zulily’s 10 favorite health and fitness blogs. I’m so honored to have been included, and am in great company with some of my friends Katy, Madeline and Kristin. -New barre slippers! When I visited the Reebok headquarters I was able to preview some amazing new product. 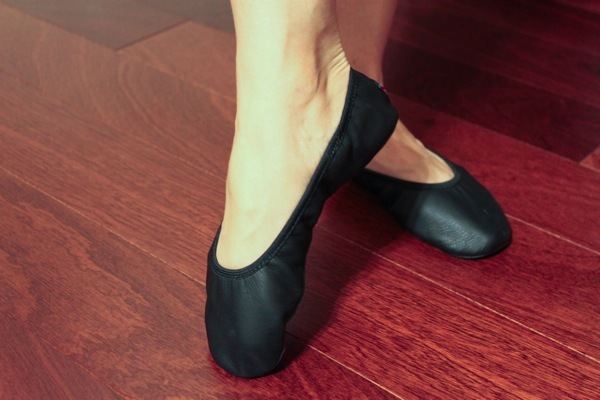 These barre shoes were on the mental list of things I couldn’t wait to try. This past week, Reebok surprised me with a pair, and I’m already obsessed. and I can tell that I’ll be using them a TON. If you are a barre fanatic, I highly recommend them. They’re much more affordable than some other versions I’ve seen. The secret to raising a kind daughter. Things people swear they’ll never do until they have kids. A different way to look at selfies. Things to do after checking into a hotel room. Caitlin’s post about her parenting philosophy. 21 paintings that look like pictures. Your’s is the second post that I have read this morning that has mentioned Jimmy Fallon, I am going to have to start DVRing (is that even a word?) that show. Great links. Those Barre slippers are giving me dance class flashbacks! Woohoo! 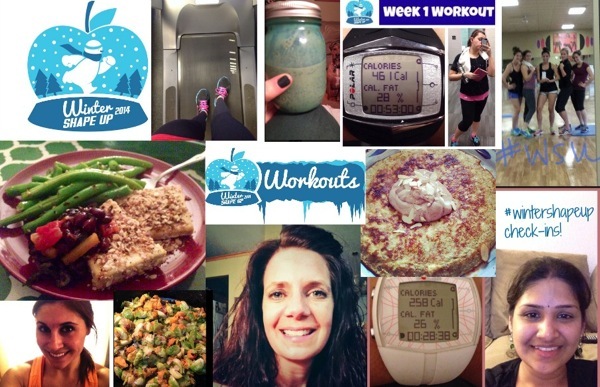 My feet on a treadmill pic made it in your collage! 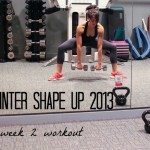 Love Winter Shape Up! thanks for all of your wonderful checkins this week! reebok has shoes for a variety of sports, so you could kind of say that about pretty much everything. all athletic brands are re-inventing the wheel, with a twist on the original version. Those pancake burritos look delish. i love when reruns are on! I love me some Uncle Jesse!!! 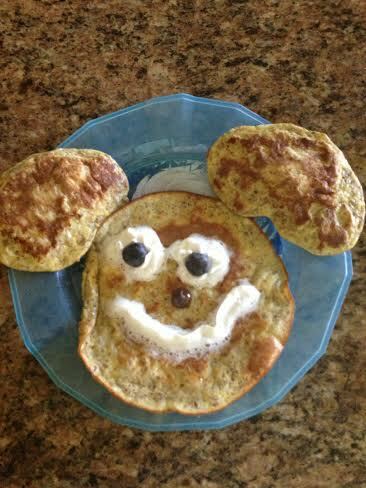 <3 And Livi's breakfast= too cute. 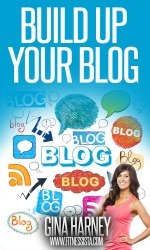 Love the link to the 8 things to do after you check into a hotel room! I’ve done all those things and people always think I’m crazy but I’ve found bed bugs, a leaky ac, and other things that could put a damper on your vacation. We’ve even been given key cards to the wrong room and walked in on someone taking a shower. Best advice is to check everything before you bring your luggage in case you have to switch rooms or hotels and always use the extra lock on the door! same! im gonna have to try that! I loved the full house thing! And why does no one every make me puppy dog pancakes? Those barre slippers are awesome! I need to get a pair. I love banana/egg pancakes! I will have to put flaxseed in them next time 🙂 I’m strongly considering those barre shoes. The only reason is because I go to a studio that also offers, cardio/barre combo classes and it often involves jumping and I’d like some support. How supportive would you say they are? 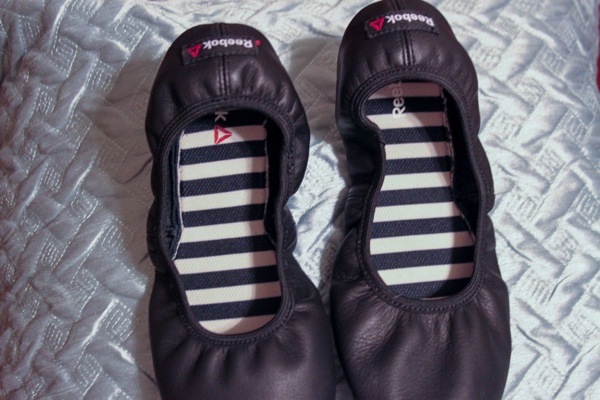 I want a pair of those barre slippers. Are they true to size? I love the idea of making my pancakes into delicious breakfast burritos…why didn’t I think of this sooner?! I love the little pancake face! 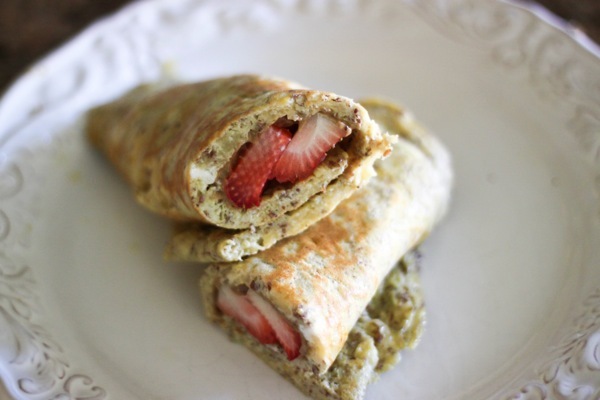 Your wrap looks awesome, love the idea of strawberries and sun butter. 🙂 Haven’t tried barre yet but it looks like fun! Really love those shoes – they look adorable and so comfortable! Oh my sweaty pic! 🙂 I did workout 1 on Monday and again last night with the plank burner. It was a little easier the 2nd time but my thighs and booty were a little sore! But I feel so energized with the work outs!! I had to share the “Things people swear they’ll never do until they have kids” on facebook. Its totally me… Embarrassing but true. Am I naive to think I’ll be able to do the homemade organic food for him as a full time working mother? I hope not! haha it’s funny the things you think you’ll OMGNEVERDO but when you get there, it happens. for me, if helped to make a ton of food and freeze it on sundays. That barre slipper looks great! I can’t do anything barefoot yet on account of the plantar fasciitis, but these might fit the bill (with some added support from KT Tape). I’ve been doing some barre3 workouts at home in my sneakers and it’s a bit hard to do some of the moves in them. Thanks for sharing! Congrats on the top 10. Your one of my favs. I loved the link about what people will never do when they have kids. I thought some of these before I had my son but I know a few people who are currently prego or just had a baby who are like this and I always want to check in at the 6 month mark and ask them about everything they said they wouldn’t do. Gahhh, I keep forgetting to check in! I’ll have to be better about that next week. Seeing those barre shoes makes me SOOO want to try a barre class! It’s something I’ve always wanted to do but it seems so intimidating haha. Great things indeed!. I guess I’m loving the weather here in Puerto Vallarta. Been here 3 months and now moving on to Guatemala for a month in a few days. Training and traveling…it is a great day! Mud race this Sunday then Superbowl..it’s gonna be a good weekend.